People have been sending us some great pictures so we thought we would put a blogpost together of some of them. 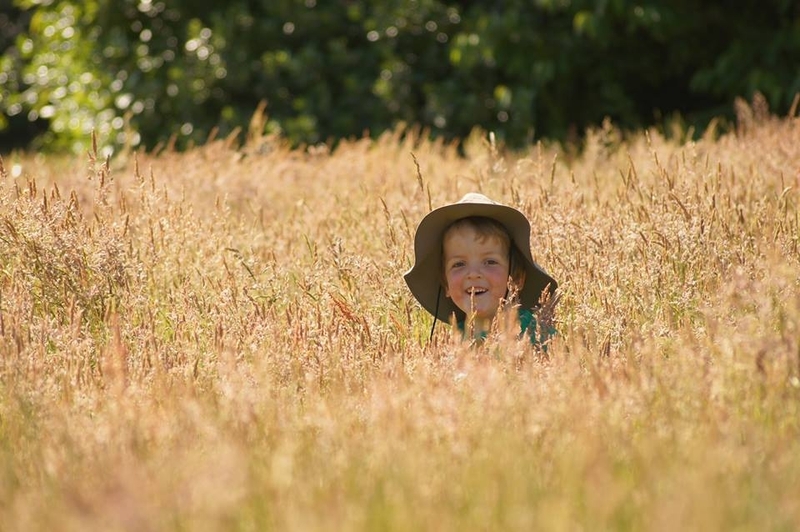 First off is the cracking picture of Matthew in his very cool hat enjoying the meadow. 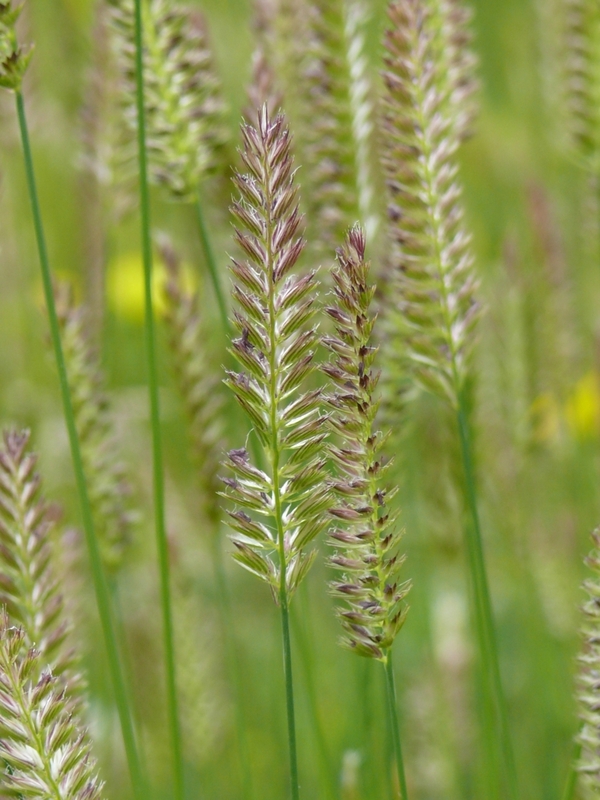 His father, Mark, tells us that Matthew and his brothers have been loving the long grass and having a brilliant time playing in the Craighouse meadow. This picture says it all and was also featured in the BBC’s Sunny Days in Scotland selection and we can see why! 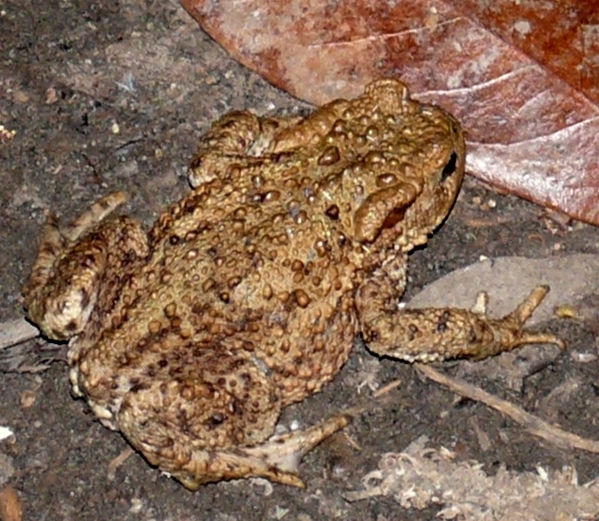 Lizzie Rynn has also send in some lovely shots, particularly of wildlife, including this rather warty-looking toad pretending to be a dead leaf on the path at Craighouse and a lovely picture of the elegant long grasses at Craighouse. 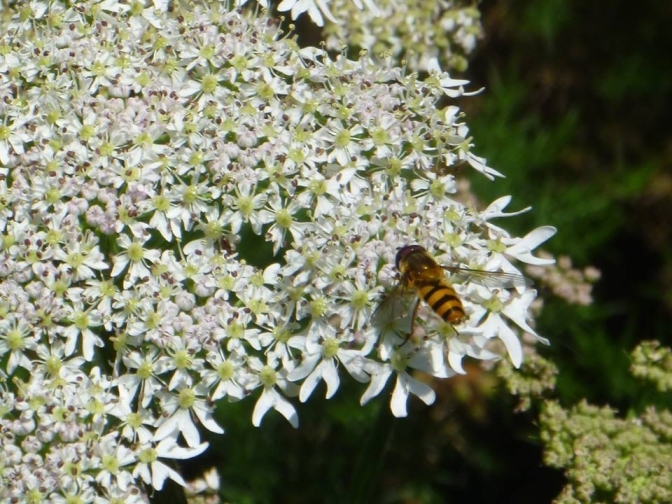 Juliet, otherwise known as Crafty Green Poet on her blog, has sent us some lovely photos including the fabulous hoverfly picture above and has written a blogpost about the walk she took at Craighouse along with more pictures that you can read here. This lovely picture above of the carpark has been sent in by Sigrid. This was taken a few months ago. It may be a carpark, but as we have discovered, it has been carefully planted so that it does not intrude so much on the views to and from the site. The Craighouse Partnership like to give the impression that the development here is on the carpark -in fact the carpark is just one part of the large development site here which takes out green space and woodland behind. 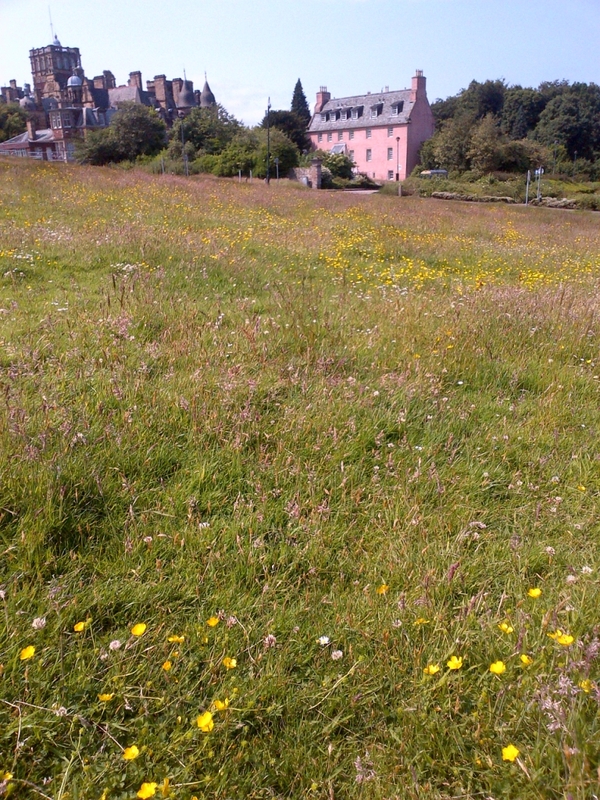 As we outlined in an earlier post – meetings with the bidders and the Council and Historic Scotland said it was NOT to be built on due to the destruction of the setting of A-listed Old Craig and ruining views of the building internally within the site. It would also ruin those panoramic vistas out from the site. There have been an article in the Evening News and also the Education section of the Scotsman this weekend. Here’s the Evening News version – although when the article states the flats start at £150,000 for a flat in New Craig…it should maybe be pointed out that example flats in the listed buildings we know of are over £500,000 and over £700,000 apiece! It should also be pointed out that the buildings and their setting are of national importance. The Craighouse Partnership have a duty to look after the buildings (and the Council have a duty to make sure that happens). The setting is also of national importance and protected by national policy. 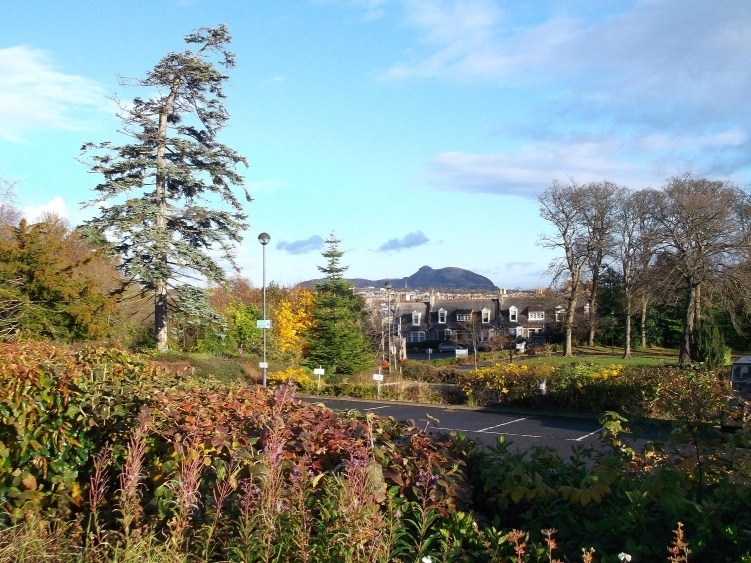 The setting is listed in Historic Scotland’s own listing “superb landscaped hilltop site”. Therefore it is actually, according to policy, Historic Scotland’s job to protect that setting as well as (and as much as) protecting the buildings. Lastly – here again is our bat video – as we’re kind of pleased with it. Thanks so much to everyone for sending in your pictures and info!